It was Stretch Armstrong vs. The Jones Boys this week as we took Stretch out to see just what he was made of. I’ll admit he’s possibly the oddest toy the boys have had in a while, but he’s also the best toy I’ve had around the house. In short, he’s a 30cm stretchy man with a solid plastic head. He looked familiar to me and so I asked my parents why. Stretch was a 1970’s icon according to my parents – and stretches to four times his size, which is pretty big – but it takes effort. Or “MOOSSLLES!” if you’re Hero. The boys put everything they had into getting him to stretch that far, and ever managed to tie him in knots. He’s pretty cool – and as far as durable toys go, he’s at the top of our chart. He retails for £19.99 and you can get your own original at Character Online. 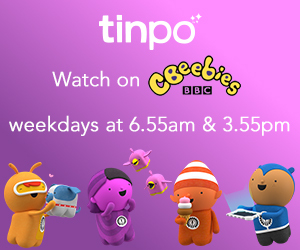 He might be a favourite with the boys, but he’s pretty cool for grown ups too. You see, as well as what you see in the video [complete with brother absconding with Stretch a few times, plus the cutest brother assistance in the last few seconds of the video], you can use Stretch Armstrong as a huge stress ball. Or stress person, ha ha. It probably looks bad as I’m squeezing the life out of a plastic man but it feels SO good. I might need a holiday. Somehow I just can’t stop squeezing and stretching him whilst I’m watching TV. There’s the oddest feeling as his skin reshapes itself. 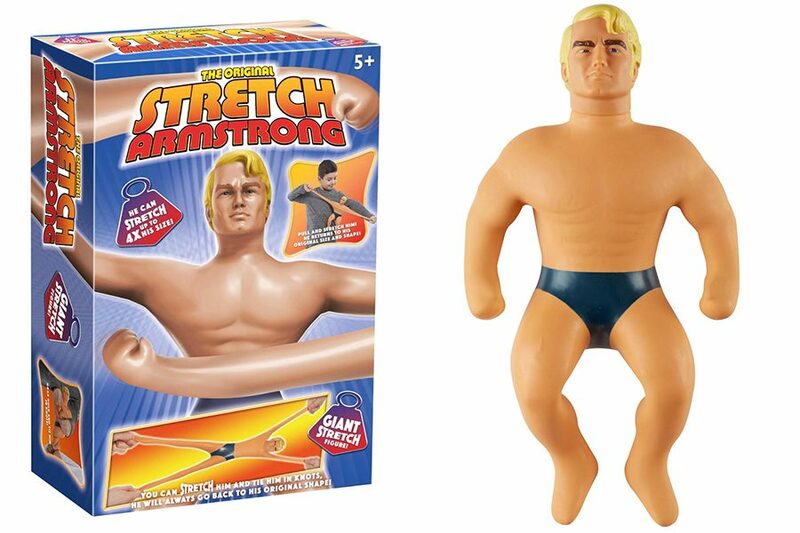 The boys are most focused on seeing who can come up with the best stunt for Stretch Armstrong to take part in at the moment – he seems to be an Olympic sport too as they twirl with him to throw him down our hills like a hammer thrower or shot put him as high as they can.